Whose baby is it anyway? As marketers, it is very easy for us to assume that we know what’s best for our clients. I met an interesting gentleman from New York this week who is proposing to launch a range of artisan craft pickles into the UK, made using the finest carefully sourced ingredients and traditional salt-brining fermentation methods without the addition of vinegars associated with mass produced pickles. 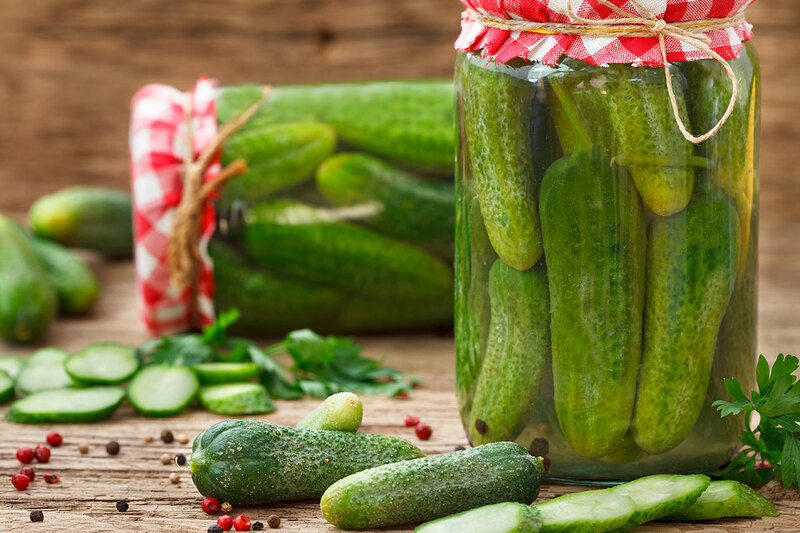 These particular pickles are jewels to adorn any platter, or to be held aloft and admired before crunching through their delicious flesh, delivering a burst of salty joy alongside a refreshing craft ale. And yes, of course, they can be used to invigorate the simplest of sandwiches. Mr. Pickles then showed me some of his original home grown design ideas for his new brand – Quirky and authentic, the design draws cues from the traditional provenance and features a tongue-in-cheek black-&-white picture of the man himself holding up a large jar of his first ever production. So, a great product with a charismatic brand owner and light-hearted, entertaining and engaging positioning, this could be a marketer’s dream brand to work with. And then for the first time in our conversation, I saw his face fall. “Could you take a look at this for me?” he asked, It was a brand activation proposal from a marketing company he had been talking to. Of course, I wasn’t present at the original briefing, and so much can be lost in translation, but it is quite clear that the presentation completely missed the point. Falling into the trap of rehashing a variety of PowerPoint slides, (and clearly from different presentations), I had lost interest within the first two pages. More fundamentally, the presentation focused completely on sandwiches in every shape and form and barely mentioned the hero of the piece, the beautiful pickle. As marketers, it’s very easy for us to assume that we know what’s best for our clients. But it is essential that we recognise that our role as consultants is to help the business owners realise their dreams and passions for their brands. These individuals have an ownership which comes from being present not only at the launch of the brand and in the execution of the strategy, but a at its very conception. In very real terms “it’s their baby”. Of course, it can be very useful to help identify a key usage occasion, and to focus on how the pickle can bring extra flavour to a boring sandwich occasion, but to fail to extol the virtues of said pickle, to fail to recognise that this is the hero that needs to be stood upon a pedestal, is completely underwhelming. It’s no wonder that many businesses fail to recognise the benefits of employing experienced marketer to help them realise their dream, when the brand owners feel “they simply don’t get my brand”. As marketers, we are passionate about the Brands that we work on,-it’s in our nature; but in the final analysis, we have to recognise that for our clients, it’s their baby and not ours. I ran a workshop recently for a client who wanted to Reboot their business and create sustainable growth. Some of the output led to a new forward-looking internal “theme” for the business: – “Fresh Confidence”, – which could be used to focus their efforts in product development, in trade relationships and in consumer communications, (but not as a tag-line on advertising). Most importantly it was a call to action to influence the culture, – the “ways of working”, and behaviour of its management and teams. Honest and Fair, but strong negotiators. I believe these are behaviours we should all aspire to, whatever line of business we’re in. 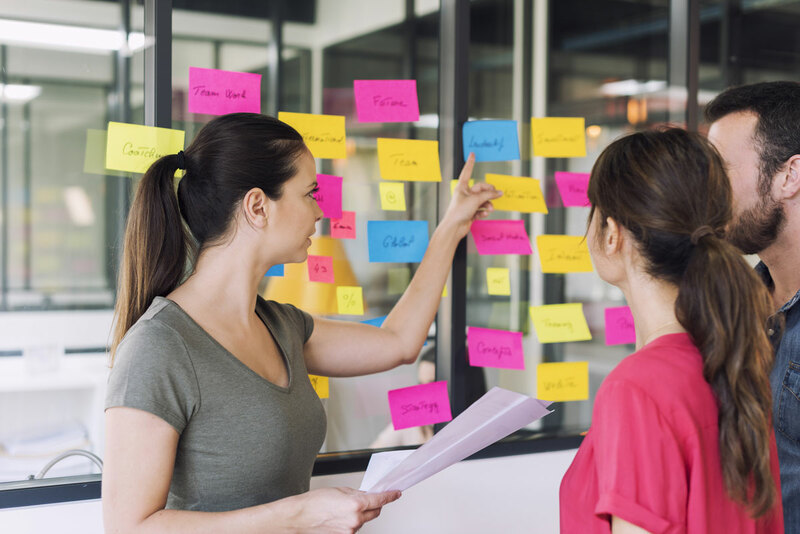 By writing them down, and agreeing them as a team, we’re also able to hold other team members accountable for their behaviour, which allows everyone to focus on the growth of business itself. 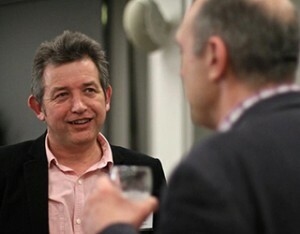 Chris Collis is an award winning Marketer and Director of independent consultancy Marketing Walk. 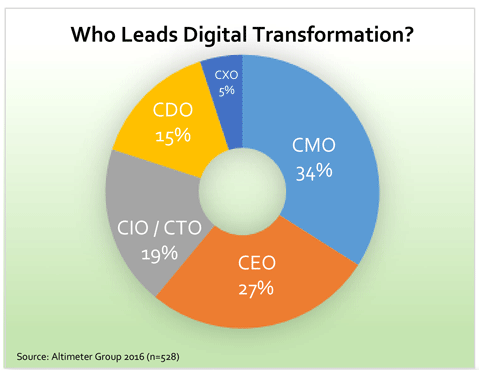 Research from Altimeter Group suggests that Chief Marketing Officers (CMOs) are far more likely to lead digital transformation within their organisations than their IT Officer (CIO) colleagues. The spin on CIO.com is that this is because “CIOs agendas are already full”, which I guess means that CMOs are off chasing butterflies. My own experience of working with senior IT and digital specialists is that they are very open to change. However, with a department swamped by day-to-day issues of hardware, software and user-generated faults; upgrading to the latest version of SAP (and back again); approving new vendors; and keeping the system safe from Virus attack and Power-cuts: the challenge of a transformation project is daunting. Being deliberately over-simplistic, the difference between the roles of CIO and CMO are their perspectives – Internal versus External perspective. The CMO has to balance the speed-of-change in customer and consumer expectations, with the need to drive measurable growth in the business. The “digital revolution” around marketing communications means that many businesses see “Digital Marketing”, measured by CPC and “Last click attribution ” as the way forward. A good CMO recognises that “Digital” is just one of the tools in the great marketing tool-box . The world has moved on from companies deciding they need to develop “a digital strategy”, to a recognition that “digital” has to be integrated into every nook and cranny of the business, from production and distribution, finance and HR, and (in this ever-more-connected world) to customer and consumer relationship management. McKinsey* analysis in 2015 identified that 90 percent of top performers have fully integrated digital initiatives into their strategic-planning process. Chris Collis is Director of Marketing Walk, an independent Marketing and Business Strategy house. Why only “Commercial Marketing” makes it to the board-room. The role of a commercial marketer is to join the dots …its the difference between being the support act or the leader. Following Asda’s appointment of Barry Williams as Chief Customer Officer, the marketing press this week has been angsting about the rise of marketing leaders without “a traditional background in Marketing”. Rather than see this as usurping some natural right of brand marketers to progress to global leadership, perhaps the “traditional Marketing” community should take a closer look at the key drivers of any business in which they wish to progress (-generally that’s profitable growth); and whether they are developing a skill-set to deliver those needs. The real question here is “What is the role of the Marketer in a commercial business” ? The CIM definition calls marketing a “management process… to satisfy customers’ requirements profitably”(*¹). This definition recognises marketing’s role as fundamentally “Commercial”. The truth is that too many so called “traditional Marketers” have been brought up in a silo of marketing communications: developing creative advertising and other collateral, recently obsessed by the shiny new toys of digital media. While nowadays this comes with an expectation of a return on investment calculation, there remains a perceived disconnection from the commercial realities of the business. Sales teams are famously suspicious of Marketers and a few weeks ago, the press was reporting that many CFOs see Marketers as weak and fluffy(*²). This comes as no surprise, when many marcomms specialists fail to demonstrate the success of their activities in commercial language and measures that are easily understood and accepted by the rest of the business. So, Perhaps it’s time to call time on “traditional marketing” and time to start thinking, “Commercial Marketing”. 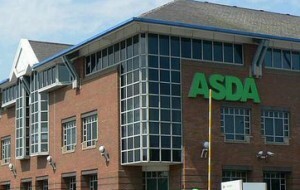 to identify the consumer segments with the greatest potential for profitability and do a proper need-states analysis. to develop relevant and engaging consumer positioning, tone of voice, advertising and promotional messages which remain consistent at every touch-point; and finally to choose the right media mix for that core consumer and those messages. to be meticulous in creating consumer measures which the CFO can buy into, and collecting evidence which demonstrates that your actions are effective and efficient, which can be used to support future proposals, and which you can prove to be drivers of value over time. Fundamentally, the role of a commercial marketer is to join the dots between all parts of the business and the consumer you’re championing; its the difference between strategy and tactics; between working in a silo or being a team player; between being the support act or the leader. As far as non-marketers reaching leadership positions, this isn’t new. Marketers have reported to ex-sales “Sales and Marketing Directors” in many businesses since time immemorial. Indeed, the CIM name itself included “Sales Managers” for its first 60 years. Unless we take the lead, meet the needs of our internal customers and demonstrate our worth to the business in a language they understand, then as marketers, we are never destined to get “intergalactic president” onto our business card. Chris Collis is an award winning Chartered Marketer and Director of independent consultancy Marketing Walk. (*¹) CIM (Chartered Institute of Marketing) Definition: “Marketing is the management process responsible for identifying, anticipating and satisfying customer requirements profitably”. (*²) I won’t enter here what many marketers think of CFOs, because it’s probably unprintable – I’ve been fortunate enough to work with some exceptional finance directors over the years, but I’ve also seen my share of grey-uninspiring-unimaginative-bean-counters along the way. It’s always tough when you’re in a room with five other people, where all six think they can “do marketing”. Please sign in to keep up to date with what's happening at Marketing Walk - just the occasional email or newsletter to keep in touch. We'll try to keep it relevant. Cheers, Chris.